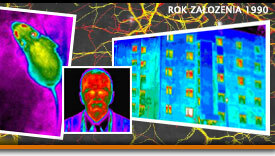 Infrared thermodetection applied in imaging and diagnostic needs is an exciting, fast developing discipline, very attractive for hundreds of applications. Speaking briefly, PIRS provides you with consulting, training and inspection services in this field - whenever your business activity mentions Poland. 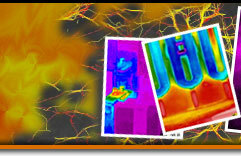 We are always glad to help you understand and use better the unique features of IR imaging and temperature measurements! Our unique approach comes from merging science, university level teaching and business. Piotr Pręgowski, Dr M. Sc. El. Eng. 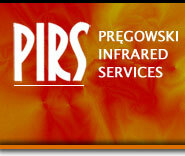 and the owner of PIRS, continues to be professionally active in the field of IR thermodetection and optoelectronics for almost thirty years. He is an active member of the international thermographic society, often invited to participate in Program Committees of many prominent symposiums, workshops and conferences (TTP, QIRT, EFNDT, SPIE, ThermoSense et al.). we were honoured to serve more than 100 clients. Many of them repeatedly. You are warmly welcome to bookmark our website and contact us if our profile meets any of your needs. We will be glad to answer them.